A (very belated) Room with a View Take #2 – the harriella project. Well, I think it’s safe to say that my blogging schedule didn’t exactly go to plan – it appears to be the middle of April and I haven’t posted since the beginning of February. I’m just going to go with “I’ve literally been frozen solid for the last two months and have only just begun to defrost”. But in all seriousness, I’ve decided there’s no point letting my recent dip in motivation stress me out. If I’m not writing a post for fun or because I’m using it as a way to relax, then why am I blogging anyway? 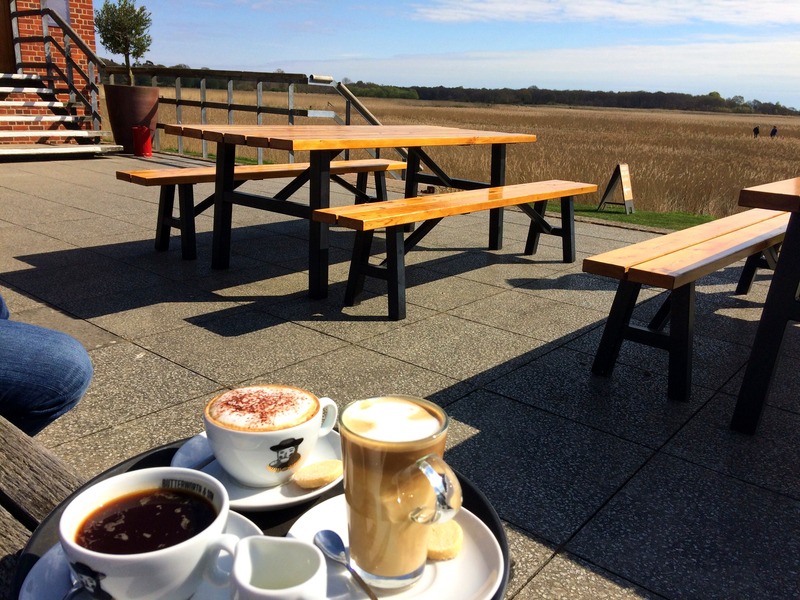 I think my caption for this picture on Instagram was ‘coffee with a view’, which pretty much sums up this café at the rather salubrious Snape Maltings (no relation to the Professor, I’m afraid). If I remember rightly, we stumbled across this surprisingly deserted café after wandering around the back of the Maltings before setting off on our long drive home after a much-needed break in Suffolk last Easter. Typically for any British holiday, our last day was the first time we actually saw the sun, but this idyllic coffee spot was the perfect place for a bit of end-of-the-holiday reflection. Snape Maltings is primarily a concert hall (I think this café was part of that, which is why we’d never discovered it before), but we’ve been several times and have never actually seen any music. 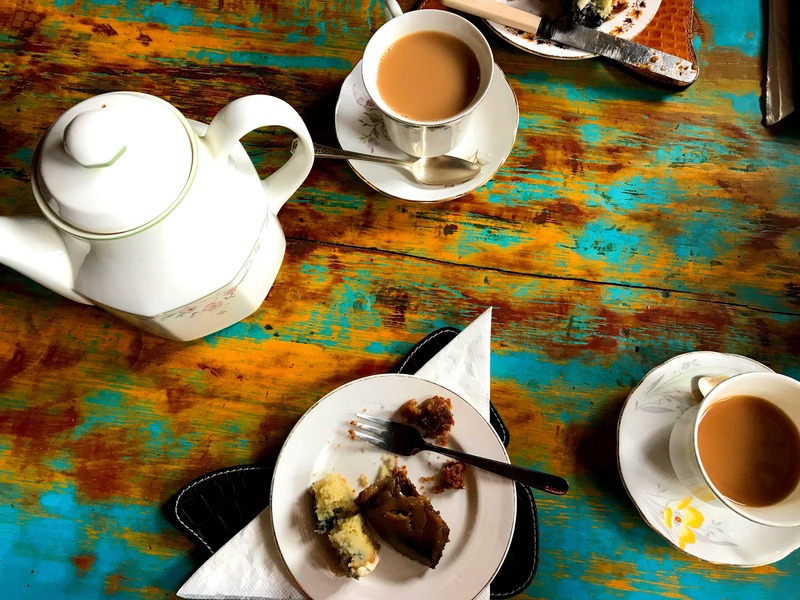 We just like mooching around the up-market home decor shops and art exhibitions, pretending we can afford anything other than a tea towel or a minuscule bar of hand-crafted-in-Suffolk, sea-salt-infused chocolate. How lovely would it be to own a beach hut? Especially one this pretty. 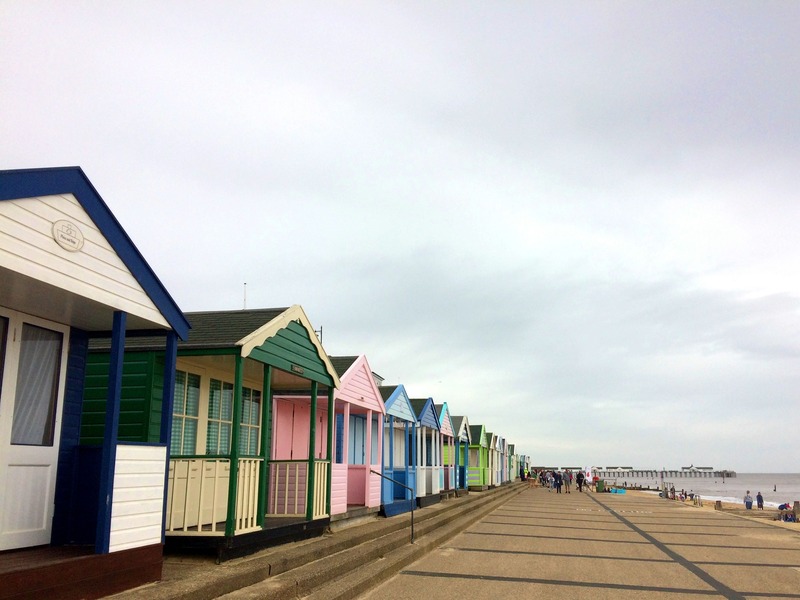 I have a soft spot for Southwold in Suffolk, with its blustery seafront and its charmingly tacky pier complete with a smattering of fish & chips, seagulls, and highly excitable children. Our stroll by the sea and quick pit-stop at Adnams brewery is always uncharacteristically topped off by exchanging a few pounds for a cup of pennies in the amusement arcade, although the last time we went my Dad’s guilty pleasure (horse racing) had been replaced by a game featuring the Minions from Despicable Me. It was highly distressing for all involved. As you can see from the picture, the sky was sufficiently grey and overcast as to make this a perfect day at the English coast. Osprey is a fiendishly expensive brand based in London, but its ‘Saddlery’ in St Albans has a café that does amazing cake (we share slices – £3.50 is not okay) and a Clearance shop selling handbags and purses I can just about get away with putting on my birthday list. I think my Nana enjoyed her tea and morsels of cake, even if we did have to sit inside! Plus, the tables inside were prettier and looked better on Insta. 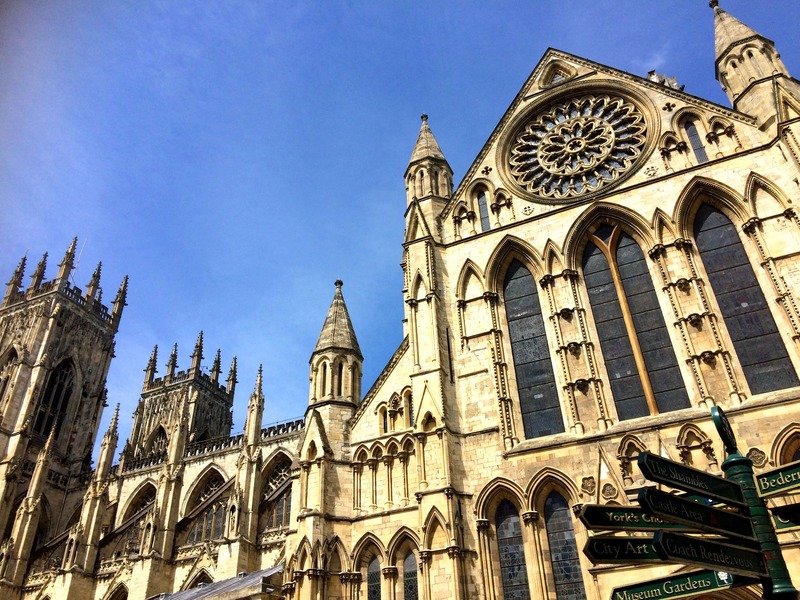 This is York Minster. I’m not sure when I actually took this picture, but I like it because the sky is blue (finally!) and it reminds me how much I like York as a city. I’m living at home at the moment, but I’m looking forward to going up to York for my graduation weekend and enjoying taking in all the sights for one last time (although hopefully I’ll probably go back to York at some point in the future!). Apparently it’s bad luck to climb up the Minster before you graduate, but the main reason I’ve never done it is because you have to pay and I’m a student. I’m banking, quite literally, on my parents taking me up in July, as I think it would be sad not to have done it after three years!